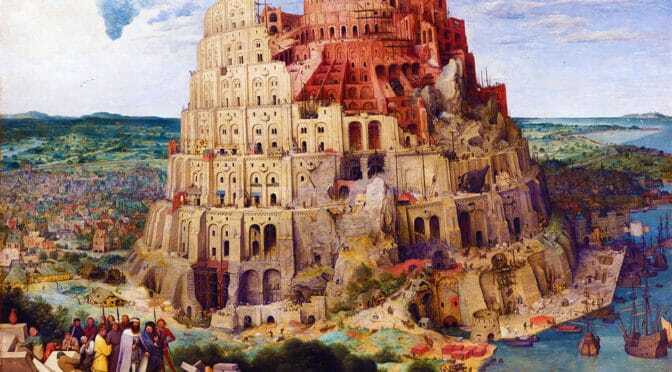 The Biblical City, Part I – The Tanakh covers in detail more than two-dozen biblical references to the city in the Old Testament. It is commonly accepted there is anti-urban religious stereotype with origins in the earliest suburbs, the social reform movement of cities in the late 19th century, and mass suburbanization in the post-war period, which has radically remade our cities over the last 200 years. But is God really anti-urban? 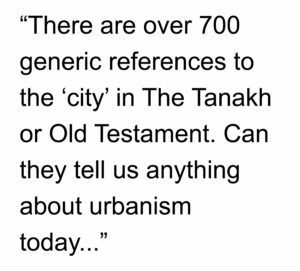 There are over 700 generic references to the ‘city’ in The Tanakh or Old Testament. Can they tell us anything about urbanism today, given the innumerable problems of language, translation, interpretation and our own evolving conception of the city over time? This course examines this in more detail in an attempt to answer these questions. 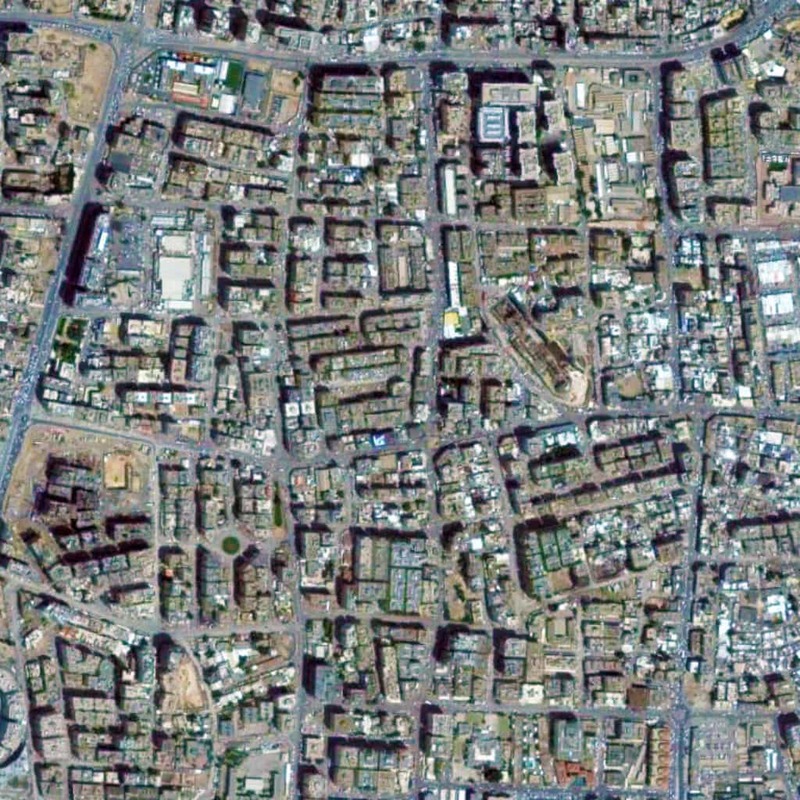 In the Old Testament, God is not anti-urban. Quite the opposite, there is evidence of God as the architect, designer, and planner. The city itself is often seen as a symbol of strength and an ideal to achieve, because God’s plan for humanity begins in a garden without sin but concludes in a redeemed city (1.5 hour course). Key concepts: city, strength, metaphor, Old Testament, Tanakh, urban, and wisdom. Check here to purchase this course ($12.49), which includes an one-and-a-half hour video presentation and PDFs of the course notes and slide handout. Note: We are beta-testing with these our course offerings so if you have any issues accessing the course material, please do not hesitate to contact us at courses@outlaw-urbanist.com. Thank you! NOTE: We are momentarily stepping away from urban subjects to discuss bigger issues However, the anti-government protests in Turkey did originate in the realm of urban development. 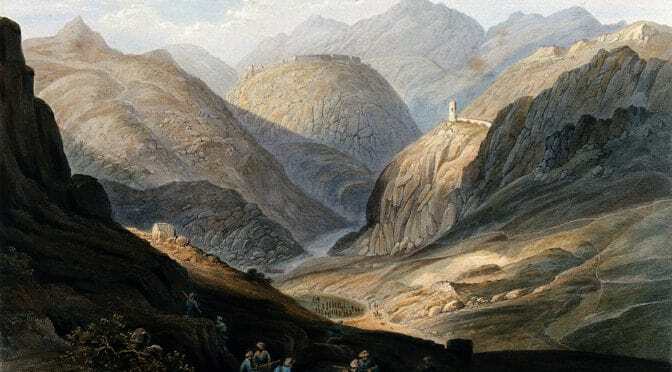 Incrementally, inch-by-inch, from the shores of Tripoli to the Bosporus Straits to the Khyber Pass, there is a dark curtain falling across the Middle East. It was the late writer, Christopher Hitchens, who coined the phrase “Islamo-Fascism” after 9/11. He did so to accurately characterize this latest threat to the principles of liberty and justice. This is the “inheritance” Winston Churchill traced in his famous Iron Curtain speech “through Magna Carta, the Bill of Rights, the Habeas Corpus, trial by jury, and the English common law find(ing) their most famous expression in the American Declaration of Independence” Over the last decade, we have abbreviated Hitchens’ term into the shorthand term of “Jihadist”. 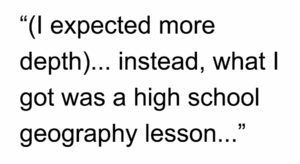 However, Hitchens original formulation remains precise because it recognizes the very long history of totalitarianism (too long to recount here) and 20th century flirtation with the fascism of Nazi Germany in the Middle East. 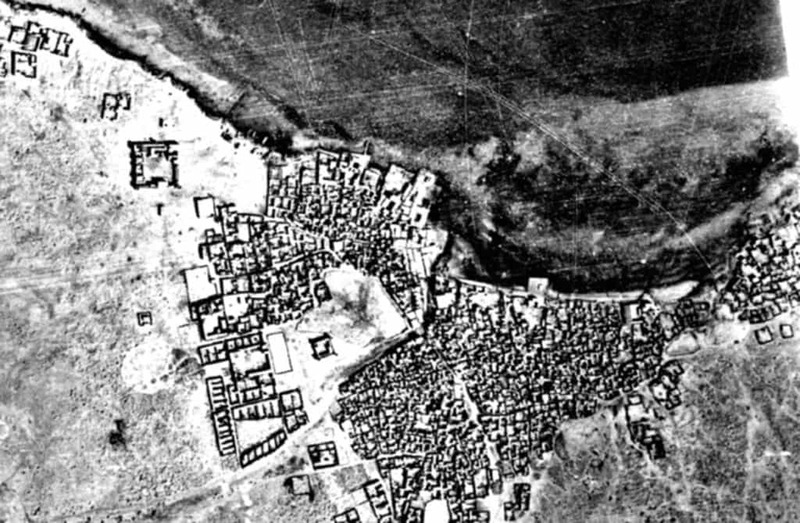 In the post-war period, this history of tyranny and flirtation with genocide metastasized around an expressed goal: the destruction of Israel. Like Libya before it, Jihadists have infiltrated the pro-democracy rebellion in Syria while Hezbollah fighters enter the country in support of the tyrannical government of Bashar al-Assad. 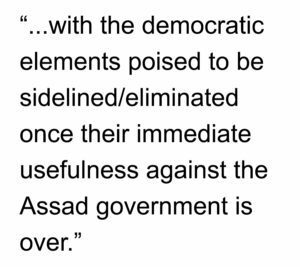 In essence, this rebellion now pits one model of tyranny against another with the democratic elements poised to be sidelined/eliminated once their immediate usefulness against the Assad government is over. Jihadists used the grassroots, pro-democracy protests of the Arab Spring as a springboard to political power in Egypt. 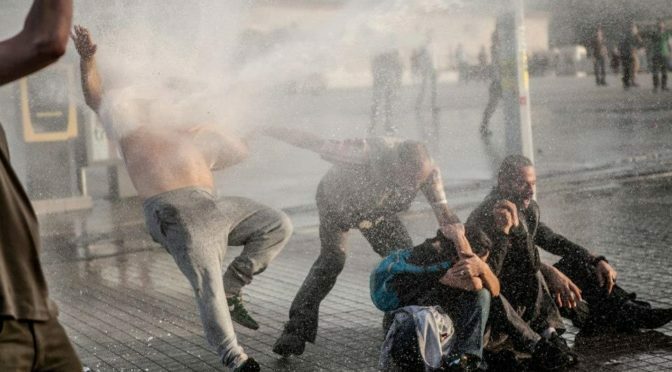 Now Islamic-rooted Turkey Prime Minister Recep Tayyip Erdogan’s riot police used tear gas and pressurized water hoses in a dawn raid on Friday against a peaceful sit-in to prevent the uprooting of trees at a local park. The initial protest has expanded beyond urban renewal issues to demonstrations against new laws recently enacted that restrict the sale and advertising of alcohol and public displays of affection (i.e. kissing). The implications for the West of ‘losing Turkey’ (which already has a Jihadist-tainted government) are profound. 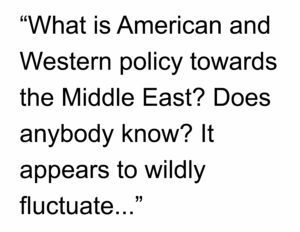 What is American and Western policy towards the Middle East? Does anybody know? It appears to wildly fluctuate from situation to situation and moment to moment. Our policy circles around the strategic signpost “to keep the oil flowing” while veering back and forth between (often mistaken) tactical assessments about what is easy (i.e. 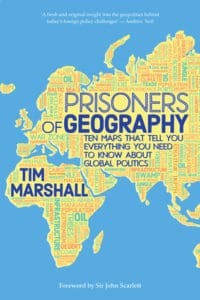 Libya, intervene; Afghanistan, surge) or what is hard (i.e. Syria, stay out of it; Iraq; get out), which is to say there is no coherent policy at all. This is no way for a “great” county and civilization (which we aspire to and often claim on behalf of the United States and Western Europe) to conduct its affairs. 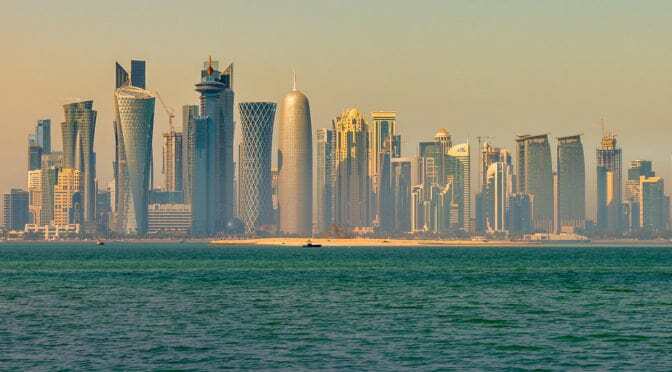 Given these conditions, it should not be a surprise to anyone the “huddle masses yearning to breathe free” on the Arab streets are befuddled and frustrated by the incoherent policies of the United States and Western Europe. After 9/11, the United States and Western Europe made a mistake. It was an honest mistake because it was born of anger but a mistake nonetheless. We thought Al-Qaeda’s attack was about us. It was not, it was about power. Subsequent events in the Middle East have demonstrated the agenda of the Jihadists is to achieve political power, oppress liberal-minded citizens and thought (such as Christianity), and accumulate power for its own sake. In his second augural address, George W. Bush attempted to frame the current threat on more solid footing as a struggle against tyranny, liberty versus oppression, and the dreams of freedom for the many in opposition to the pursuit of power by a few. Many in the West ridiculed this reframing by the American President into the “Freedom Agenda” as hopelessly naïve. You cannot fight and defeat an idea. Of course, they are correct. However, ideas take on recognizable forms. 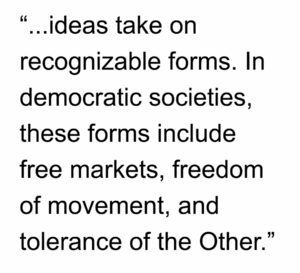 In democratic societies, these forms include free markets, freedom of movement, and tolerance of the Other. In oppressive regimes, they take the form of financial corruption, the elevation of state power over individual liberty, and intolerance of the Other. You fight and defeat the forms that tyranny takes in the world. It is time for the United States and the West to revisit its Cold War model and adapt the mechanism for this new threat. This includes the expansion of domestic oil production in North America in order to wean our societies (and, increasingly, China) off the teat of Middle Eastern oil. 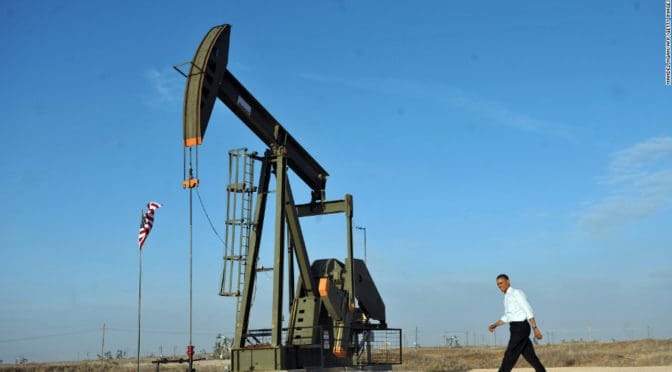 For the first time in decades, the United States is exporting oil. We need to rapidly expand this capacity. North American should be the principal supplier of oil to China lest we lose a (potentially) powerful ally in the coming struggle to the same dependency, which caused us to indirectly finance the current threat. In the process, we need to get our fiscal house in order. A new policy should include containment. 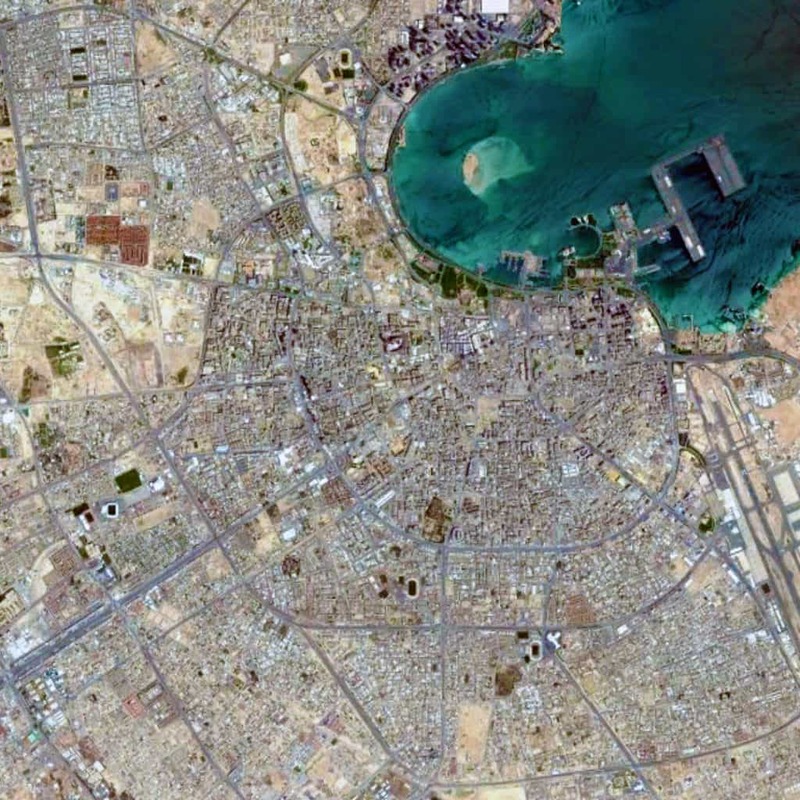 We must develop a strategy for the Middle East to halt the expansion of Islamo-Fascism, which includes modernizing (perhaps even expanding) our nuclear deterrent and reconstituting the doctrine of having the military capacity to fight two wars simultaneously. As part of this containment strategy, we will have to recognize and accept we may lose some countries (like Egypt) along the way but, in the modern era of globalization, mass communications, and the internet, these are more likely to be temporary situations. A similar transition as witnessed during the Cold War is likely to occur at a much more rapid rate (taking years instead of decades). Finally, we must actively engage in destabilizing these tyrannical regimes by any means necessary, including clandestine activities, expanded intelligence gathering ‘on the ground’, Wi-Fi American Free (a modern adaption of the Radio Free Europe concept) and filtering financial support to grassroots democratic movements. Our view should be on the end game, not the distractions of the moment. And our end game should always be to grow the “tree of liberty” for all, lest we condemn more than 300 million people to the darkness. Read the full article here: America, the Saudi Arabia of tomorrow – CNN.com.